Every Munchkin Collectible Card Game booster has 12 random cards, including at least one rare card, so players can build their own decks to surprise their opponents! 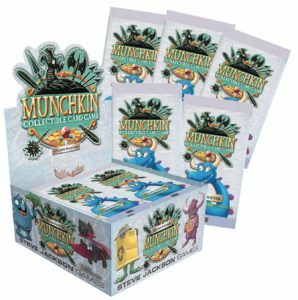 12 cards per pack, 24 packs per display. 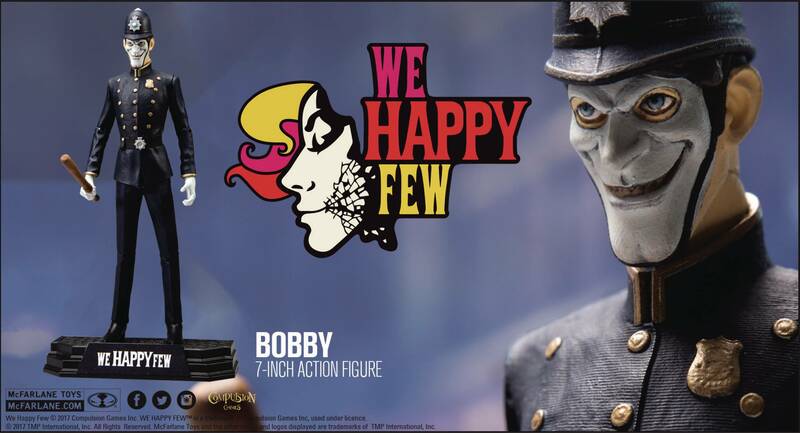 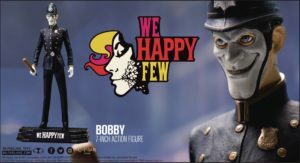 Patrolling the streets of Wellington Wells, Bobby is always dressed in his constable outfit topped off with his distinct “Happy Face.” Always on the look out for potential “downers,” residents of Wellington Wells should always have some “joy” at the ready when they see Bobby nearby.